Exploring topics of broad interest, Bates College’s Civic Forum series begins in October with a panel discussion on education reform, followed by a presentation by an expert on health care finance. In a discussion titled Wrestling with School Reform in Maine: National Strategies, Local Realities, national and regional education experts examine different approaches to reform at 7:30 p.m. Wednesday, Oct. 13, in the Edmund S. Muskie Archives, 70 Campus Ave. The following week, Dr. William Hsiao, an economist at the Harvard School of Public Health and architect of Taiwan’s universal healthcare system, offers the presentation Taiwan’s Health Reforms: Lessons for the U.S. and Maine at 7:30 p.m. Monday, Oct. 18, also in Muskie Archives. Presented by the Harward Center for Community Partnerships, the Bates College office that coordinates projects linking the college and community, the talks are open to the public at no charge. For more information, please contact 207-786-6202 or this kcloutie@bates.edu. Educational reform looks different to different actors — communities, school staff, district administrators, state and federal officials. The educational reform panel is designed to give the public an understanding of these different perspectives and how they play out in our local community and in Maine. The public will also have the opportunity to learn about different strategies that have been used elsewhere to bring communities into the process of reforming their educational systems. The panel will involve presentations and an open discussion with people who will offer different perspectives on educational reform in our community, in Maine and beyond. Presented in conjunction with the education department at Bates, the education panelists are Glenn Cummings, deputy assistant secretary, U.S. Department of Education; Norm Fruchter, senior policy analyst at the Annenberg Institute for School Reform, Brown University; Leon Levesque, superintendent of the Lewiston public school system; and Joan Macri, associate director of LearningWorks at Lewiston-Auburn College, University of Southern Maine. An international expert on health care finance, Hsaio is the K.T. Li Professor of Economics in the Program in Health Care Financing at Harvard. 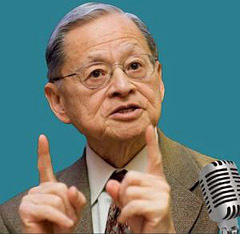 He served as principal adviser to Taiwan’s government as that country reformed its healthcare system in the 1990s. At Bates, he will share his experiences in Taiwan and the lessons they hold for the U.S. as the nation works to implement statewide and national healthcare reform law. Hsaio is the co-author of Getting Health Reform Right (Oxford University Press, 2004). While in Maine, Hsiao will testify before the Legislature’s Joint Select Committee on Healthcare Reform Opportunities and Implementation. He has been engaged by Vermont’s legislature to design options for a state healthcare system that includes a single-payer option. Civic Forum presentations explore civic, political and policy issues significant to the local community, Maine and beyond. They often feature panels of local and national experts and lively question and answer sessions. Most of the events are broadcast on Maine Public Radio’s “Speaking in Maine” series.